Two major email clients prevalent in organizations are IBM/Lotus Notes and MS Outlook. However, under certain situations, many users need to switch their email client to Outlook from Lotus Notes. But accessing NSF file directly in Outlook is not possible. Let us go through the necessities, and the procedure one has to follow to access their NSF emails in MS Outlook. 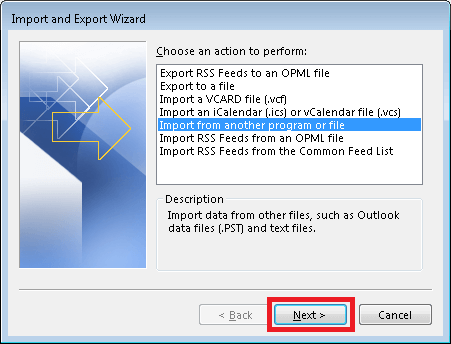 What are the reasons for IBM Notes to MS Outlook migration? Migration of email data from Lotus Notes to Outlook is attributed to various reasons. Outlook is cost-effective when compared to Lotus Notes. Outlook allows users to configure multiple accounts simultaneously. Lotus Notes is less user-friendly than MS Outlook. Outlook is suitable for the novice user as well as technically sound users. Novice users find it difficult to work with Lotus Notes. Job switch is another reason as the new working place may have Outlook as email client. Why NSF to PST Conversion? 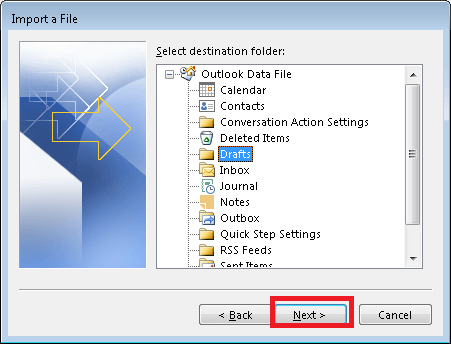 While there are enough reasons for Notes users to switch to Outlook, NSF files cannot be accessed directly in Outlook as they use different file formats to save their mailbox data (Lotus Notes uses NSF file format while Outlook uses PST file format). To access the whole email data, first NSF files have to be converted into PST files. There are primarily two methods to convert NSF files into PST files – manual method and third-party tool i.e. 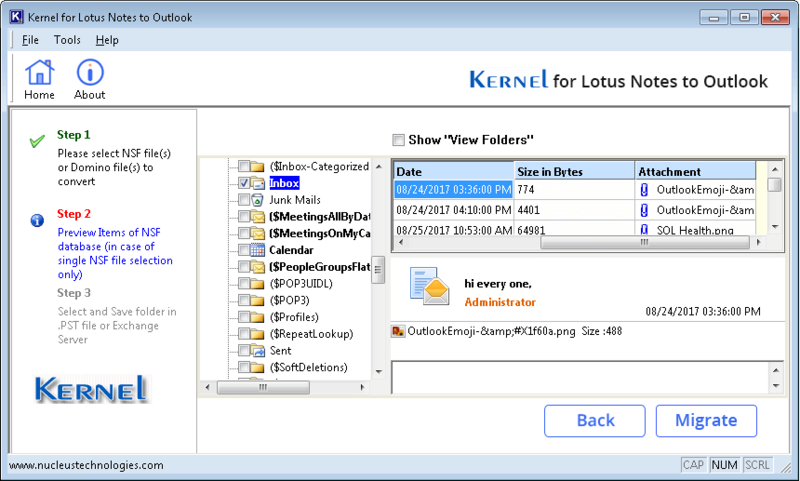 Kernel for Lotus Notes to Outlook. It is a free NSF to PST conversion method. It is recommended to have a backup copy of original NSF file before performing the manual conversion, as the file can get damaged during the conversion process. The manual method to convert NSF files into PST files is performed in two stages. Launch IBM Lotus Notes program. Click File > Open > Louts Notes Application. In the Open Application window, browse for the required NSF file and click Open. The selected NSF file gets opened. Now, on the File menu, click Export. 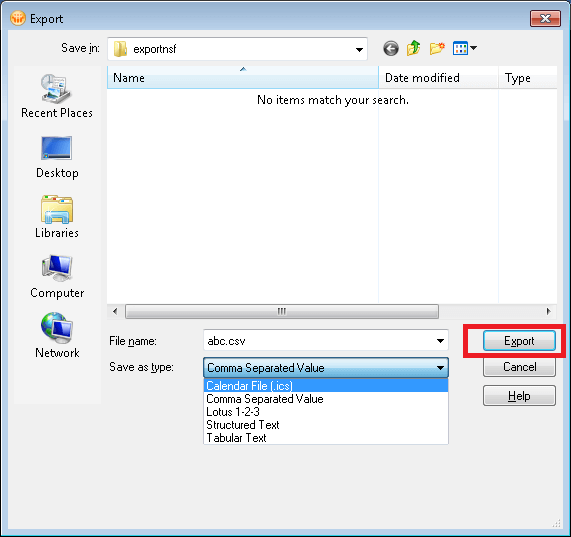 On Export dialogue box, enter the file name, file location, and saving type. 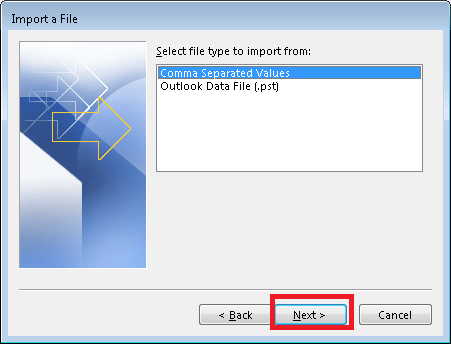 Select the Comma Separated Value format for the file. A dialogue box CSV Export gets open. Select the required options. Click OK. The exported data gets saved in CSV file gets saved in the defined location. On the File menu, click Open & Export, and then click Import/Export. An Import and Export Wizard dialogue box pops up. Select Import from another program or file from the options. Click Next. Select Comma Separated Values as file type and click Next. 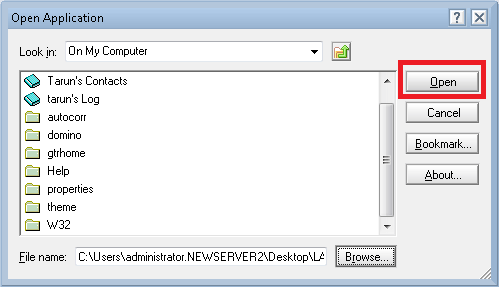 Click Browse and select the path for CSV file created earlier using the Export command of Lotus Notes. You can select the options according to your need. 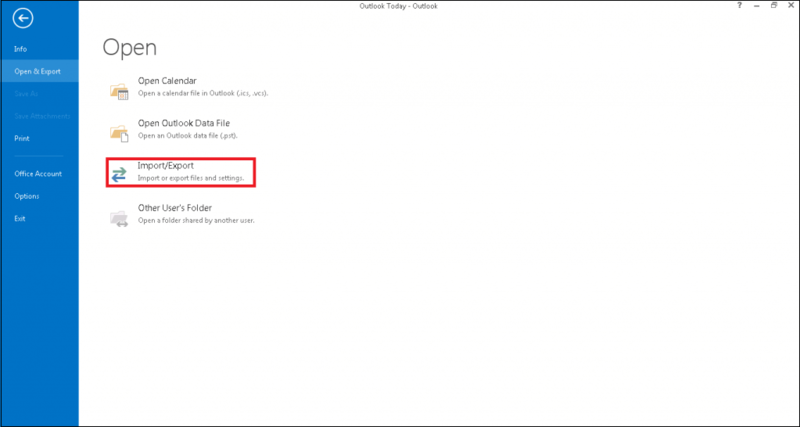 Select the Outlook folder where you want to save your exported data and click Next. 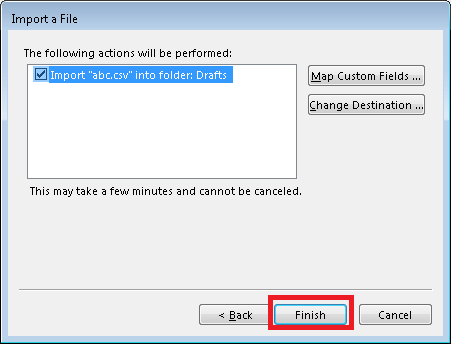 Select the given checkbox in the Import a file dialogue box and click Finish. You can also change your destination or map custom fields by clicking on the same name options. Kernel for Lotus Notes to Outlook is a powerful NST to PST conversion tool. 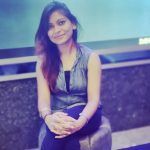 This third-party tool saves NSF files (from IBM/Lotus Notes and Domino Server) in Outlook PST or Exchange Server directly. It has many advantages over free NSF to PST tool. It has the facility for saving NSF file in multiple PST files. The user can also migrate specific data using advanced filters designed in the tool. Launch the tool for conversion of NSF files to PST files. To add NSF files for conversion, click Add File(s). You can select multiple files for the conversion. The option for splitting your converted PST files into different sizes is also available. You can have the full preview of the selected email by clicking on the Preview button. After viewing, you can export data to PST file. The NSF to PST tool provides you two saving options. 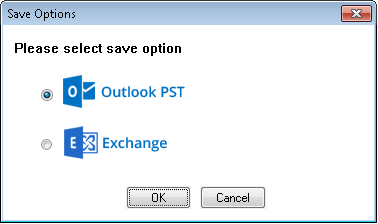 You can either save your files in PST format or directly on Exchange Server. You can also define the Saving Location and Date Range. And emails can be saved in different formats like TEXT, HTML, or RTF according to your requirements. The tool uses a CSV file to migrate multiple NSF files simultaneously. 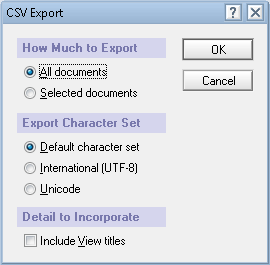 You can browse and select the CSV file by clicking the browse (…) button. You can define Saving Location and Date Range too. You can also split your converted PST file into different sizes. After applying the desired filters, you can export data to PST files. Run the software and click Add Local NSF file(s) to select NSF files. Browse any number of NSF files. After you have selected NSF files, click the Preview button to get a glimpse of NSF file data. After the preview, click the Migrate button to start the saving process. 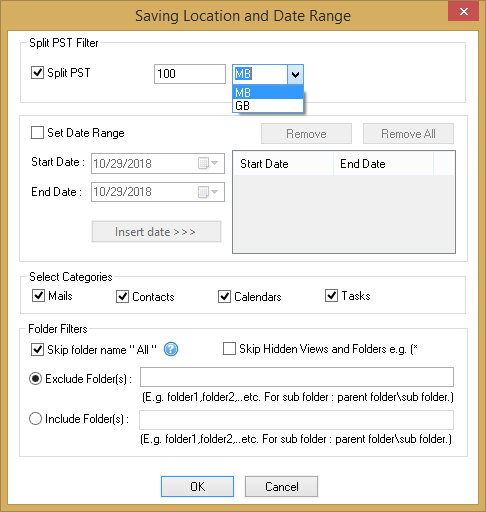 If you select Outlook PST as the desired saving option, then in the next step you need to browse the destination folder where you want to save the PST file. Then click OK.
You can use Split PST Filter that splits file to the specified size (in MB or GB) to save data into multiple PST files. Define a Date Range and insert the Start Date and End Date to convert NSF of that date range only. You can select the categories that you want to migrate within Select Categories option. 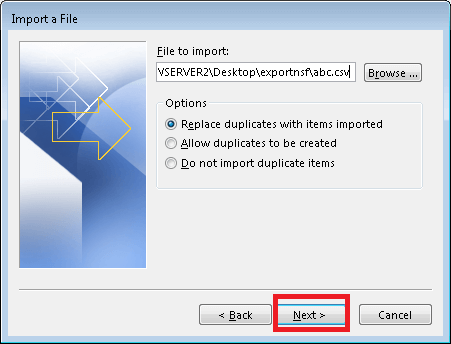 Provide Folder Filters details by checking/un-checking Skip folder name “All” and Skip Hidden Views and Folders options. Check, different fields like Exclude Folder(s) and Include Folder(s), and provide folder names, if you want to exclude or include any folder(s). 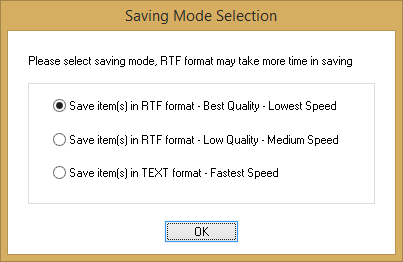 Select the required saving format in the Saving Mode Selection window. Click OK.
Now the file gets converted into PST format. You can view them now in MS Outlook application. 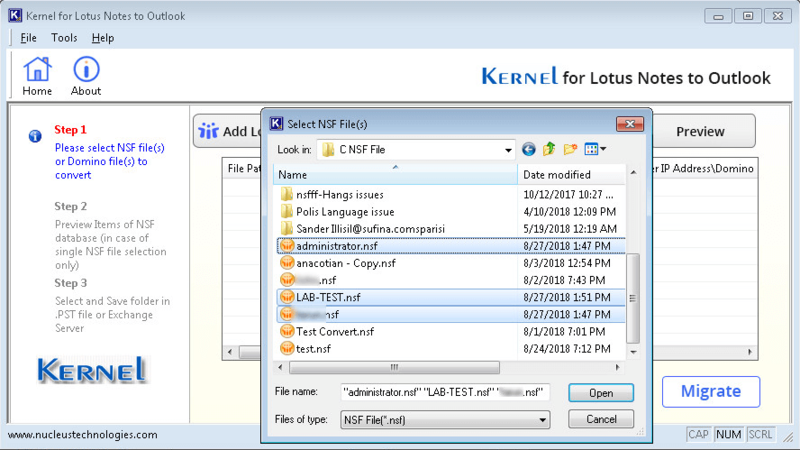 Kernel for Lotus Notes to Outlook migration is a comprehensive tool that converts NSF files into PST files or saves to Exchange Server. This is the best alternative to the free NSF to PST converter. The tool supports all the versions of Exchange, Outlook, and Notes including the latest versions. It can be installed on Windows 10 as well. The method of migration performed by NSF to PST conversion software is preferred over manual process for safe, easy, effective and effortless conversion process. Microsoft Transporter Suite supports Exchange 2007 Server only. So to migrate to the latest versions of Exchange, you need professional tools now. Hope Microsoft comes up with a new version of Microsoft Transporter Suite for the latest versions of Exchange! User cannot access NSF files directly in Outlook because Outlook uses PST files to store user mailbox data and Outlook does not support NSF files. To access data in Outlook, NSF to PST conversion is the only way. Being a professional, I already had knowledge about the manual process for NSF to PST migration. The method is good but fails to migrate multiple NSF files and includes risk of data loss/corruption. The NSF to PST converter served all my migration requirements. Thanks to the author, I came to know about this tool! It is really very effective and informative article on free methods of Lotus notes to Outlook. I have tried it, but unfortunately I am unable to convert my all Lotus notes data. Now, I decided to use above mentioned professional software. Anyway, Thank you for information. The free method provided by you is really very helpful for me. I have done a successful NSF to PST conversion, by using the solution. You should keep it up such kind of task. Thank you for helping. What is the cost ? Also typing to check if all comments are posted or only the selected positive ones. You can get the price quote of NSF to PST Converter tool from the product buy page. This NSF to PST tool is really fantastic. Easily migrates Notes to Outlook. I was stuck in between migration, thanks to Debi for his efforts for solving my issue.